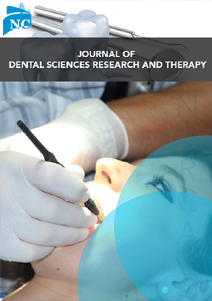 Journal of Dental Sciences Research and Therapy is an international, peer reviewed, open access, scientific and scholarly journal that publishes manuscripts like research, review, mini reviews, case reports and studies, short communications, letters, editorials, etc. which covers all the aspects of Dental Sciences. We promise researchers, academicians, surgeons, healthcare professionals to provide a forum to publish their latest research results online. Journal of Dental Sciences Research and Therapy invites manuscripts by authors from not only just all the specialties in dentistry, but also from allied fields like microbiology, pharmacology, genetics, etc. that are bridged in some way to conditions involved to the oral cavity. The journal is at the cutting edge of publishing international dental research and aims to develop further as a strapping platform where original research is encouraged for publishing. In order to abide with this, the journal ensures that all authors upload the patient consent form when submitting a manuscript involving a case reports with photographs or human specimens e.g. teeth specimens/soft tissue biopsy samples/in vitro analysis. Journal of Dental Sciences Research and Therapy will publish original scientific research papers including short communications. It is also concerned in publishing review articles and leads in subjects which will be linked to new scientific research. Topics covered includes the dental disease management, operative dentistry, periodontology, dental biomaterials science, endodontology, fixed and removable prosthodontics, long-term clinical trials including epidemiology and oral health, technology transfer of new scientific instrumentation and procedures, as well as clinically relevant oral biology and translational research. The journal will cover technical and clinical studies related to health, ethical and social issues in field of Dentistry. Articles with clinical interest and implications will be given preference.